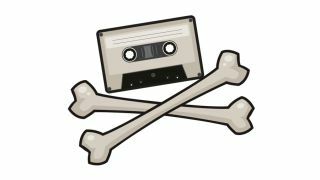 A newly-published report from Ofcom has claimed the 20 per cent of Brits responsible for the most online piracy are spending 300 per cent more on digital content from those who don't illegally download files. The research, commissioned in 2012, studied the behaviours of internet users over the age of 12 in the UK and their attitudes towards illegal downloading. The researchers found that this top 20 per cent of infringers accounted for almost 88 per cent of all infringements, but at the same time the group made up 11 per cent of all legally purchased content. The dirty 20 per cent spent, on average, £164, in a six month period on legal content, while the remaining 80 per cent of illegal downloads spent £105 in the same period. Interestingly, those Honest Joes who've never so much as sniffed a torrent site only spent £54 on online content. Are you a Justifying Infringer, mate? Ofcom's research split offenders into four different subsections, which typified their behaviour and attitudes towards file-sharing. The so-called 'Justifying Infringers' felt they spend enough on online content, but are receptive to fairly-priced digital entertainment or software. This group boasted the highest levels of illegal behaviour. 'Digital Transgressors' would probably stop if warned by their ISP, while 'Free Infringers' took everything they could for free, while paying the lowest amount for legal content. Lastly, there was the Ambiguous Infringers who had a higher proportion of legal content, but a lower appetite for digital content in general. These guys were less worried about justifying their transgressions. Come on now, we're all friends here. Which category, if any, do you fall into?